This story isn't a standalone novella. Please enjoy at least Reawakening the Dragon (Stonefire Dragons book five) first. On the day Jane Hartley’s online video series finally launches, she and Kai receive word that his younger half-sister, Delia, is missing. Gaining permission to search for her in Wales, Kai and Jane work together to find the teenage dragon-shifter before she winds up in the hands of the dragon hunters, or worse. As the danger amps up, Kai and Jane’s relationship is put to the ultimate test. Will Kai and his dragon choose Jane above all? Or will a ghost from Kai’s past end up tearing them apart? Novella with a happy ending. Eighteen plus for explicit language and sexual situations. I love learning more about the Stonefire Dragons! Jane and Kia are having another adventure, and it was exciting to be sure, but I was left wanting a touch more...like will they ever have a child of their own? I would have bet that was going to happen towards the end, but alas...no such luck. I also would have liked to have seen Jane kick Delias hind end, but that's was my personal feelings while Kia was in the hospital. However, that is just nit picking on my part due to my emotions while listening. I loved seeing the families and clans interact and bringing some of Jane and Kia' s issues to a close too though. 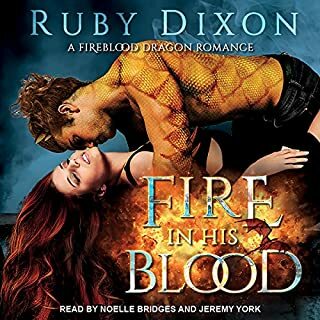 I thoroughly enjoyed this audio book! I can't wait to see how all of these characters move in future books! This world Ms. Donovan is creating is spectacular! The Narrator nailed this one! I just love listening to him and his different accents and voices! I would recommend this book, but for sure I would say read book #5 first if you haven't read them all in order yet . This book was so exciting I was holding on to my reader with both hands and white knuckles. It is full of humor also. 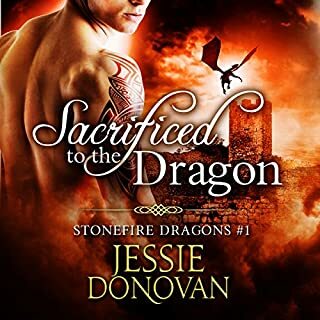 It is a great story cannot wait for more from Jessie Donovan. By the way the man that's reads this has a voice that will send chills up your spine. Loved it so hard. I will not leave you no matter what. I love Kai and Jane. I was a bit hoping that we got to see some of Jane's podcast however like the synopsis says it is mainly about trying to find Kai's baby sister. She decides to try to find the missing kids that was mentioned in the previous books. This is a very quick read and a lot of conflicts within Kai's and Jane's relationship has been resolved in this book. I am glad for that and I cannot wait for them to finally have a baby since, Kai's and Jane's moms are completely and utterly ready for grandkids. I did enjoy the setup for a new character who I am hoping gets a book; the clan leader and the one that got away. I'm feeling that the little boy that was rescued is the nephew of the clan's leaders true mate. 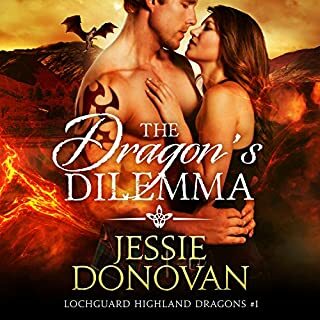 Hopefully that story is just around the corner however I do know that Jessie Donovan has a number of books to write before he gets his own story. I loved the story. But the narrator's interpretation of Kai's voice was annoying. He's an alpha protector he shouldn't have a whiney, high pitched dragon. Loving the fact on revisiting previous characters with updates of their lives is a fantastic idea. I enjoyed reading this because with Kai and Jane you read about him visiting his mothers clan to search for his sister and unexpected events occur and Janes life gets threatened by kai’s past. This is a must read with the series. Love this world. Jessie Donovan is a very clever writer and I love the series but this one left a lot to be desired. The plot wasn’t credible. We’re supposed to believe that teenage dragon shifter would voluntarily turn herself over to an enemy known to torture, burn and kill every shifter they’ve ever captured? Not likely no matter how immature she might be. It was just too scattered. But - I will still buy the next book. Loved Finding the Dragon make sure you read Reawakeing the Dragon first this is not a stand alone novella. Happy to see Jane and Kai back Krais sister is missing Kai and Jane go to her clan to help find her. Please read Clan Stonefire book #5 first; Finding the Dragon, a novella, is a continuation of the story. Wonderful story! More about Kai and Jane, which I have been eager for. Kai’s sister is missing and during their adventure to find her Kai gets injured. Kai’s ex shows up during all of this! I promise no spoilers! This will definitely make you want more of Jessie Donovan’s stories. As the danger amps up, Kai and Jane’s relationship is put to the ultimate test. Will Kai and his dragon choose Jane above all? Or, will a ghost from Kai’s past end up tearing them apart? I absolutely loved this book!!!!! My favorite characters and a new story !!!! As always Mrs Donovan has delivered an excellent book with a fast paced story that kept us glued to our seats. I loved the way she weaved the stories and the new characters we met that may lead to a future book and i love the Alphaness in both Jane and Kai . I can't wait to see what the future holds for the two of them! As always Mr. Matthew Lloyd Davis has done an amazing work with the characters and the story. I love his voice and he has truly found his way with this series. Jane and Kai are back with another instalment in their lives. Kais sister is missing and Kai and Jane head to her clan to help track her down. Their story is bought to life by the amazing narrator chosen for the Stonefire series. He does the book and characters an amazing amount of justice and again brings the story off the page. 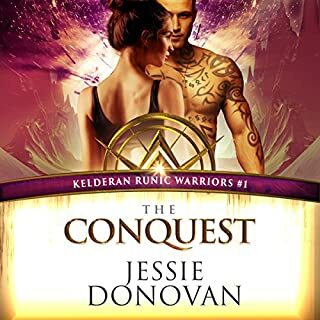 Book 10 by Jessie Donovan was as usual amazing. Norratted by Mathew Lloyd Davies. Looking forward to Book 11.